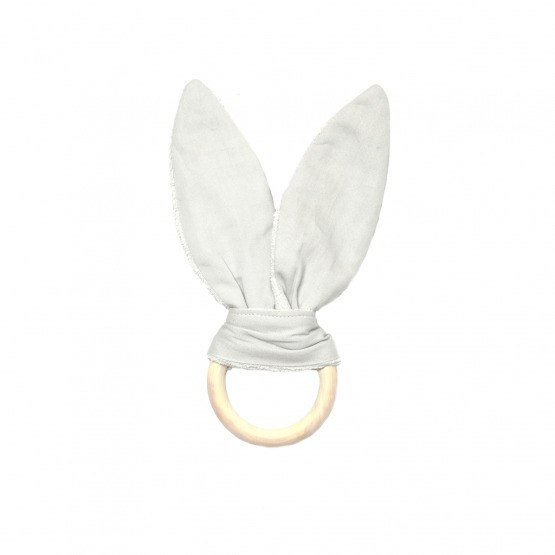 Animal Teether Pirate Bunny - Fabelab These attractive colors and its material natural 100 % will agree perfectly for baby. 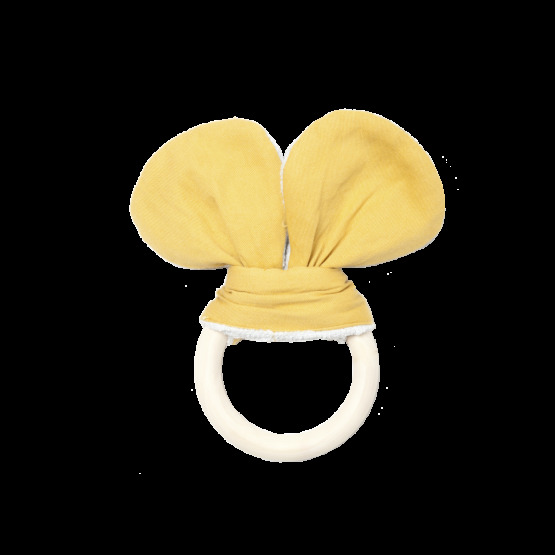 Animal Teether Cute Bunny - Fabelab These attractive colors and its material natural 100 % will agree perfectly for baby. Animal Teether Lazy Bear - Fabelab These attractive colors and its material natural 100 % will agree perfectly for baby. My Jewellery Set - Gg* Kukkia My Jewellery Set it is a present for the pretty girls! A small bag in embroidered "Joli" jeans a bracelet made of wooden magic beans paints and a wooden pearl necklace to be recomposed in the infinity. Gg* Kukkia proposes us as usual wooden toys which know how to seduce small and big children. 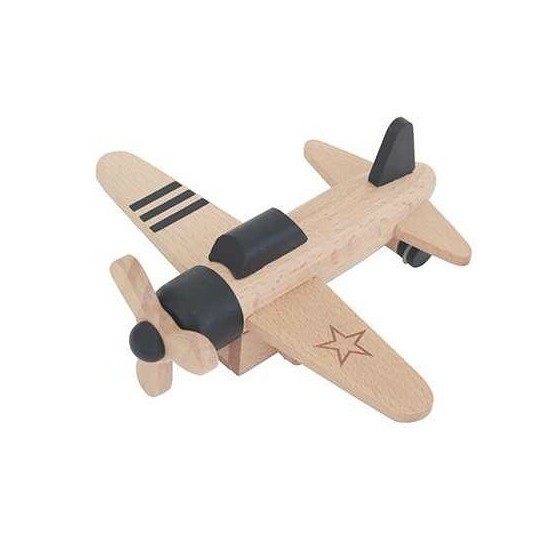 Propeller Plane Hikoki - Kiko+Adorned in the take-off with this magnificent plane Hikoki in the retro style but which turns darker as a jet with its engine with friction.Kiko + of Kukkia offers us once again a natural wooden toy to the resolutely modern design! 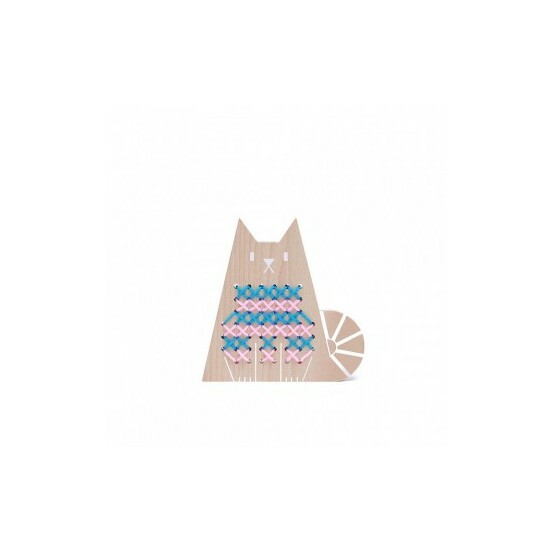 Cross Stitch Friends Cat - Moon Picnic Fast your Cat is cold! No problem, we are going to knit him a pullover with the cross stitch. 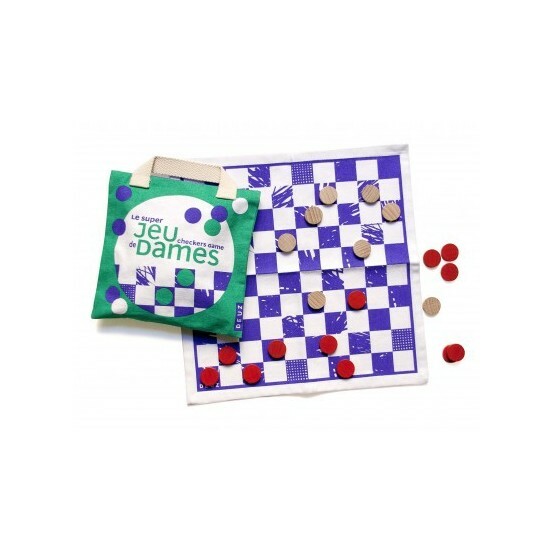 A recreational activity to occupy the small hands everywhere where you will go. Moon Picnic proposes a recreational and creative activity for the children. To begin again in the infinity! 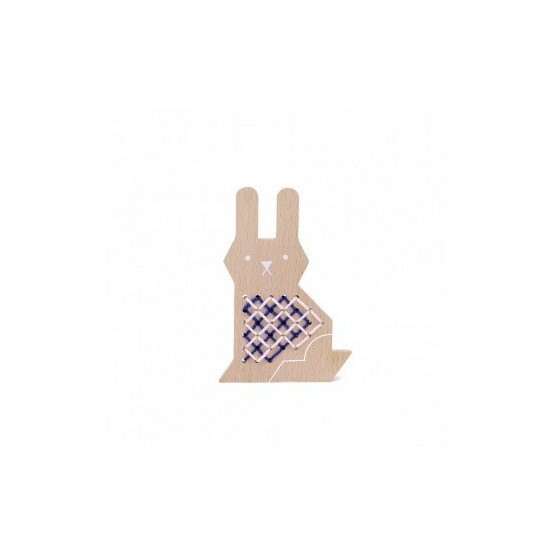 Cross Stitch Friends Rabbit - Moon Picnic Fast your Rabbit is cold! No problem, we are going to knit him a pullover with the cross stitch. 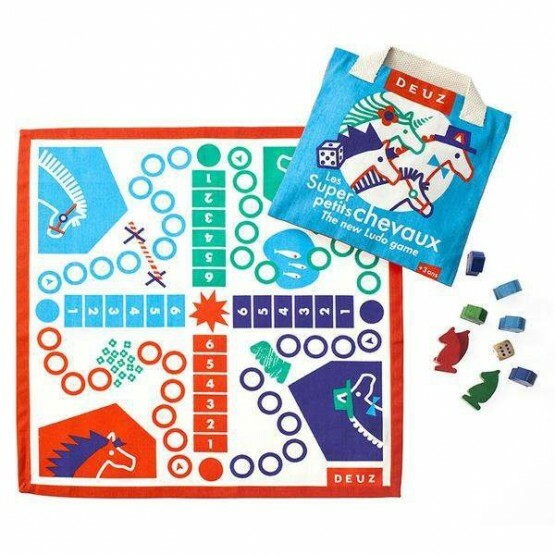 A recreational activity to occupy the small hands everywhere where you will go. Moon Picnic proposes a recreational and creative activity for the children. To begin again in the infinity! 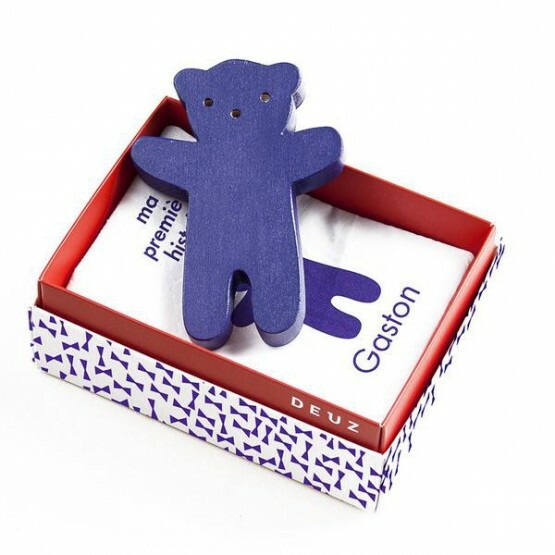 My First Story - DEUZ Open this pretty box to discover a little cloth book and a wooden toy of the story’s character that will accompany your baby in their discovery of shape, contrasts and colour. The DEUZ ‘My Firts Story ' collection provides the first introduction for your little ones to the wonderful world of books. 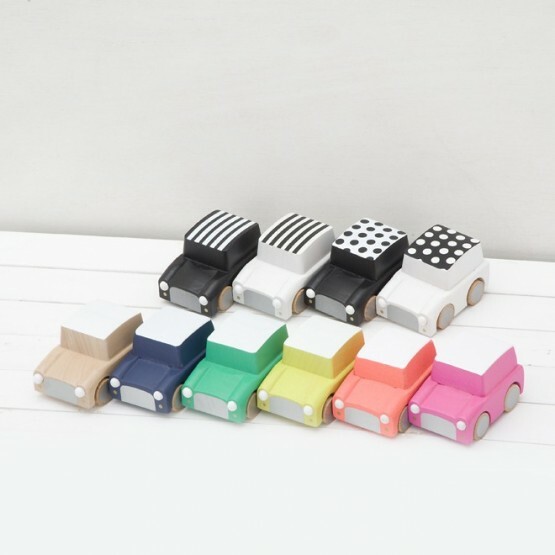 Wooden Car - Kiko Kukkia Differents colours option These little wooden cars Kukkia are so much fun! Pull them back and watch them whizz along - prefect for racing. Beautifully made from wood and non toxic paints, these cars are built to last. Choose from black and white, natural or a bright colour - there's something to suit every little boy or girl. 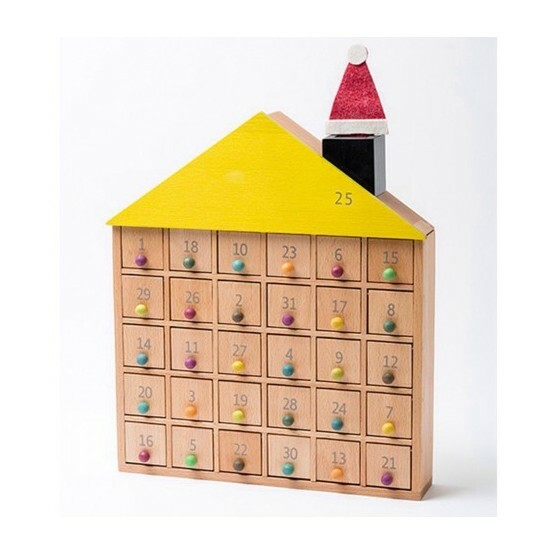 Advent Calendar Apartment 31 - Gg* Kukkia Brand new from Kukkia, this is a beautiful wooden house that can be used as an advent calendar, too. Lift the 31 doors to reveal little compartments (the roof is number 25). 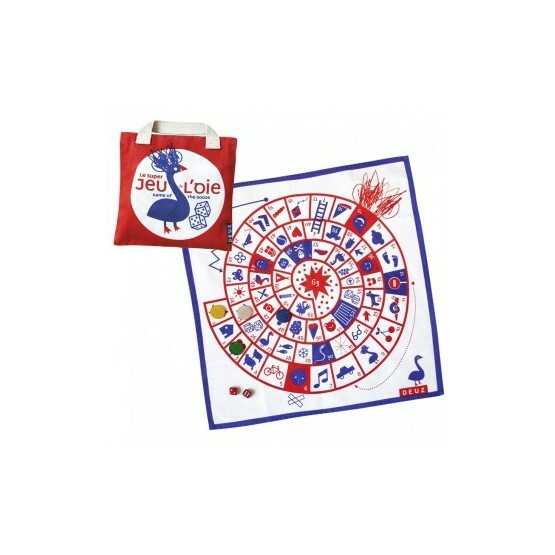 Use it year round as place to store treasures or to play games. A really special item! Includes gift boxes, felt Santa hat and felt smoke. 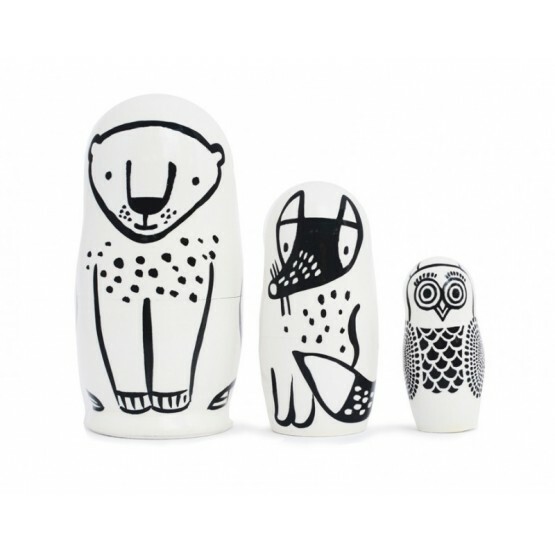 Nesting Dolls Forest Friends - Wee Gallery This set of 3 Nesting Dolls feature black and white animals, the Bear, the Fox and the Owl. The three come packaged one inside the other and are hand painted in a village in Russia especially for Wee Gallery. 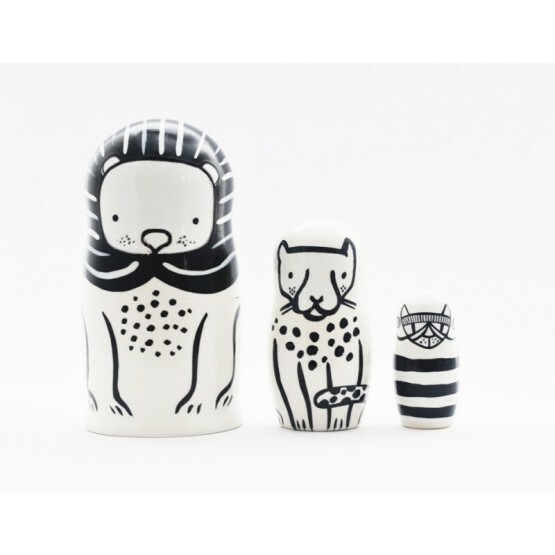 Nesting Dolls Cats Big and Small - Wee Gallery This set of 3 Nesting Dolls feature black and white animals, the Lion, the Cheetah and the Kitty. The three come packaged one inside the other and are hand painted in a village in Russia especially for Wee Gallery.